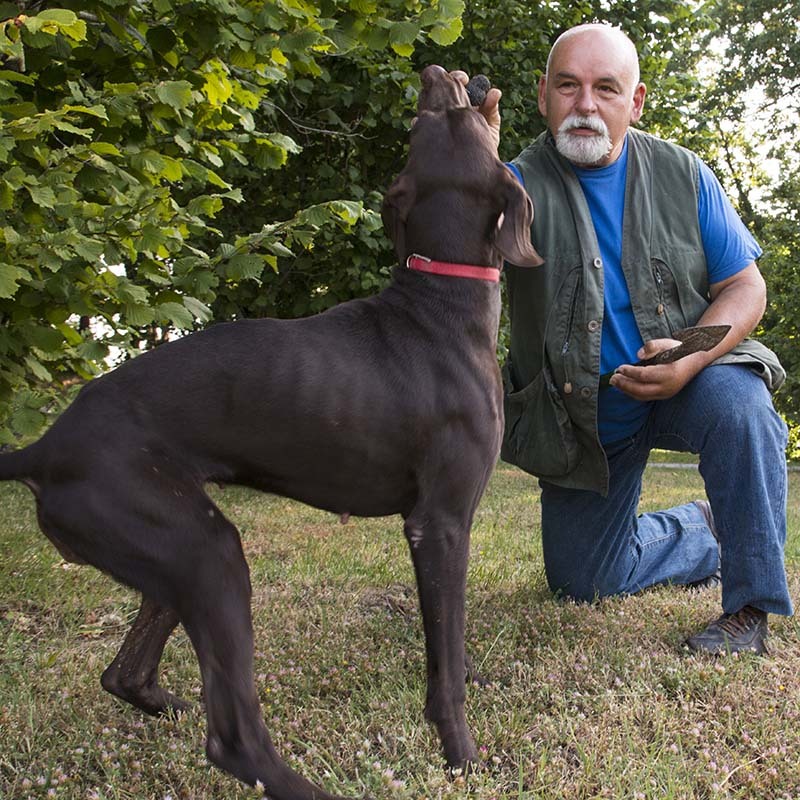 Partecipate to an unique and authentic experience; the search for the Umbrian truffle in the valleys of Castello di Petroia with the dog. 2nd June – 31st August 2019. 2nd October – 22nd December 2019. The overabundance of “Truffle Plants” inside the 600 acres estate of Castello di Petroia and the right climate and landform, create the perfect conditions for the growth of the Truffle. 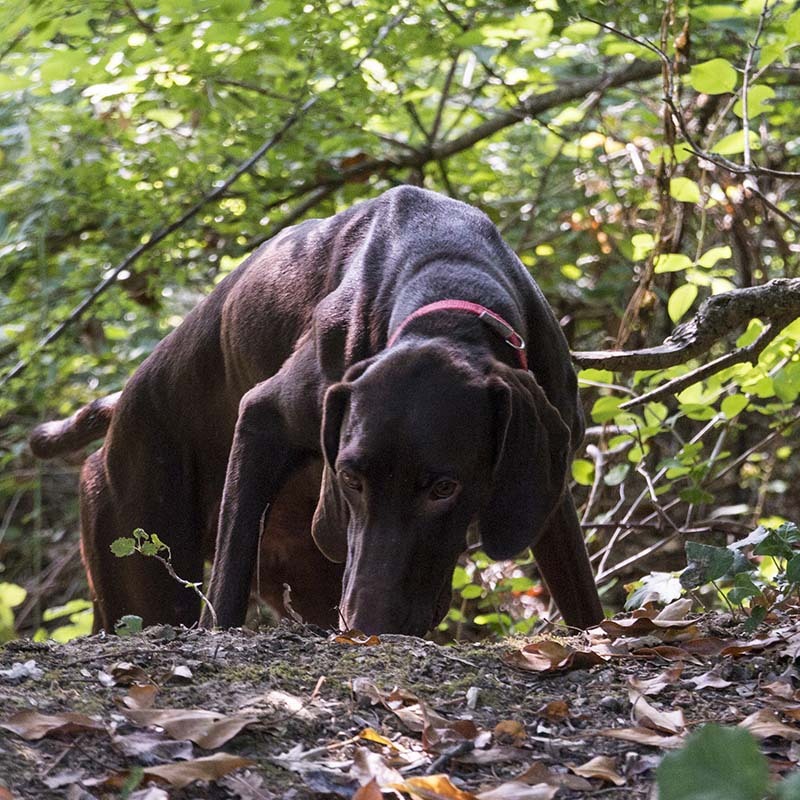 Underground, close to Oak and hazel trees, our incredible dog finds the Umbrian most well-known product – the delicious black Truffle. The young truffle hunter, Jassine, knows the places where truffles usually grow, so called “Tartufaie”. The inseparable dog Stella, a beautiful female specimen of Kurzhaar, completes the work digging precisely where the noble product lays. 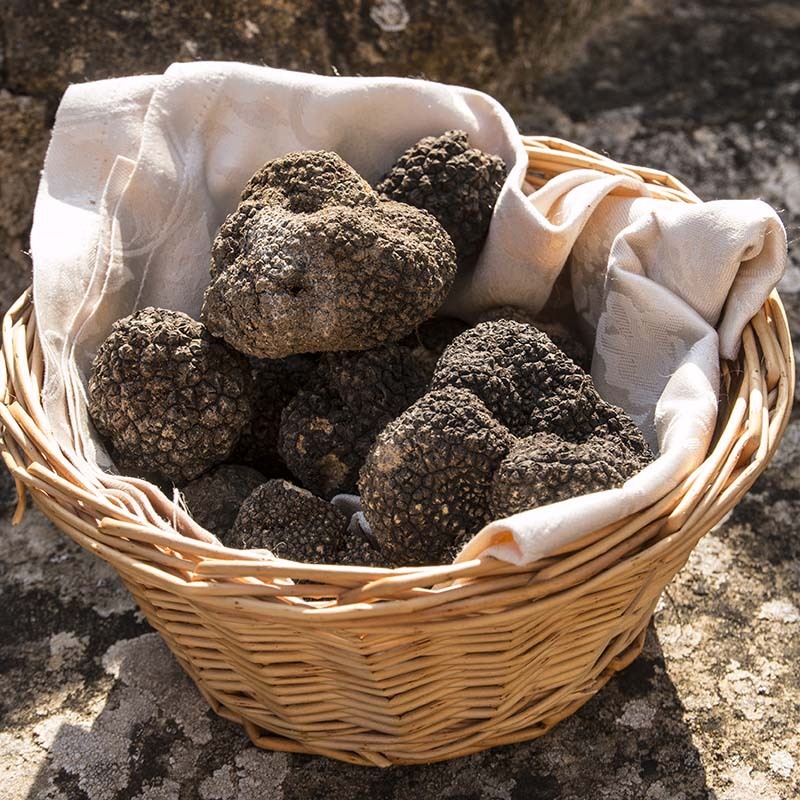 In the evening the fresh truffles are brought to our Chef who will prepare a delicious dinner for you, enhancing all its extraordinary qualities. 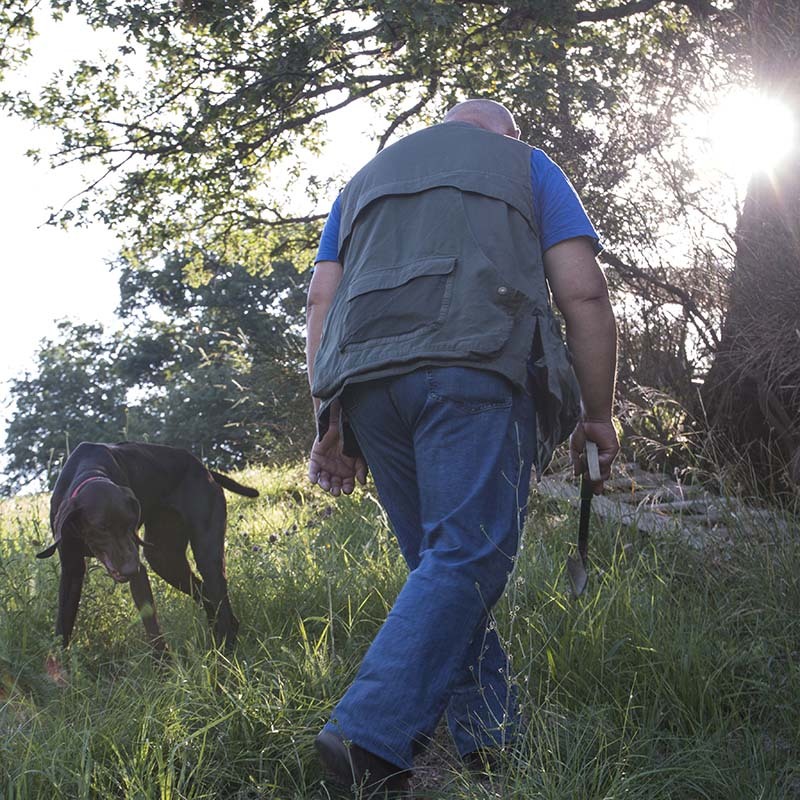 The Truffle Hunt experience is an opportunity for a pleasant walk through fields and woods inside Castello di Petroia. 2 hours of Truffle hunting with Jassine and Stella.